1. If you’re looking for some good old-fashioned Italian fare, think no further than 38 Chairs in South Yarra. The hidden gem in Bond Street offers diners sumptuous dishes like melt in your mouth style gnocchi served with mozzarella and basil and velvety pappardelle with duck ragu. With its charming atmosphere and charismatic Italian waiters, you couldn’t get much more of an authentic Italian experience outside of Italy. There is even a specially imported meat slicer and old school weighing scale to add to the experience. 2. Lee Ho Fook isn’t your average Chinese restaurant and Victor Liong isn’t your average Asian chef. Bringing experience from the legendary Marque and Mr Wong in Sydney, Liong’s first restaurant focuses on contemporary Chinese cooking and bold flavours. The steamed cone bay barramundi is nothing short of superb as is the signature crispy eggplant with spiced red vinegar. You can say goodbye to fluorescent lighting and stodgy sweet and sour pork, your taste buds will be in for a treat. 3. Located along the Capital City Trail, Green Park in Carlton North makes the perfect pit stop for a weekend brunch. It’s a handsome venue with a beautiful interior carrying out the forest ‘green park theme.’ The outdoor seating and surrounding lawns make it a lovely spot to soak up the sunshine and for children to play. It doubles as a cool brunch/lunch spot and a Spanish themed bar in the evening. 4. Archie’s All Day is the latest café to hit foodie hot spot Gertrude Street. Brought to you by the infamous Bluebird Espresso team, this all day diner literally lives up to its name – serving breakfast, lunch and dinner all day (open until midnight Wednesday – Sunday). Za’atar eggs, wholesome burgers and moreish fried eggs on tater tots are just some of the options you can expect at this quality eatery. Part contemporary/part retro, Archie’s has a brilliant fit out which is likely to attract hordes of hungry diners in many months to come. 5. 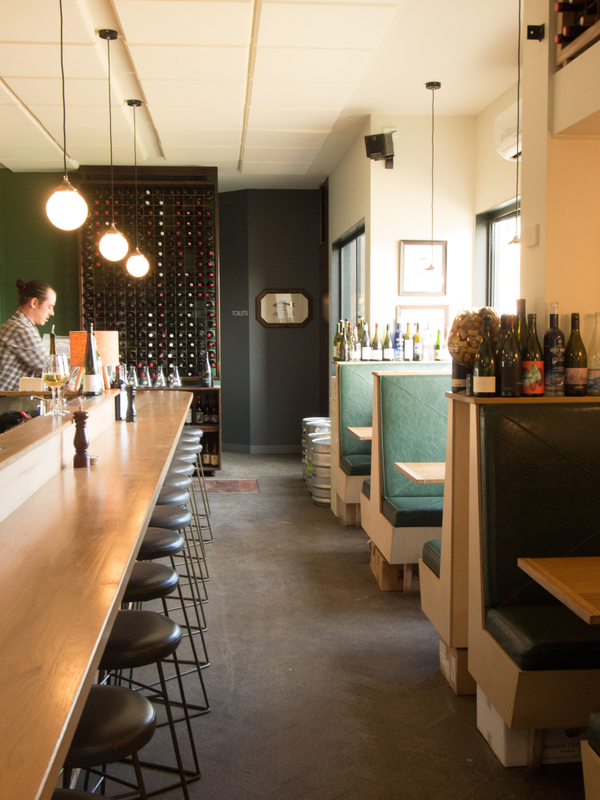 Glovers Station is the new kid on the block in Elsternwick. The café focus on local, organic and seasonal produce with a motto “nature does the work”. They even have a kitchen garden out the back to grow basics like lettuce and herbs. Glovers Station has an interesting history, housed in a beautiful Tudor style heritage building, which was formerly a service station and mechanics garage. Expect contemporary twists on brunch classics and exceptional Dukes Coffee. 6. Burma Lane is the latest restaurant opening from the team behind Red Spice Road and focuses on contemporary Burmese food. The menu features fresh, vibrant flavours from the region, with influences from the many cultures of modern and ancient Burma. The lofty venue is split over two levels, blending an eclectic style of traditional and modern elements. Betel leaf, beef short ribs, pickled tea leaf salad (staple of Burmese cooking) are some of the goodies you can expect to eat here. Or if you’re feeling extra indulgent, try the ‘Taste the best of Burma for $65 per person. 7. The Counter Espresso on Auburn Road is a hot spot for Hawthorn locals. True to its name, their counter is always full of a tantalising array of freshly baked pastries, bread and salads. It’s almost impossible to sneak past the café’s window display without being tempted in by its gourmet goodies. Seats are limited inside but there is a cosy courtyard to retreat to at the rear. Pick up one of their take home packs for a relaxing night in if you can’t be bothered cooking. 8. Hailing from Bondi, the Beach Burrito Company has now opened their first restaurant in Gertrude Street.Featuring an epic skater’s ‘pool’, the Mexican eatery specialises in fast casual Mexican food including nachos, quesadillas and chilli fries. Beers and jugs of cocktails are the drinks of choice. 9. Just open last month, Rosa Mitchell has expanded her empire and opened Rosa’s Canteen in the legal precinct on Bourke Street. The canteen focuses on authentic Northern Italian dishes– think salumi, beef carpaccio, semolina coated fried calamari and freshly made pasta just to name a few. Don’t go home without ordering Rosa’s delicious canoli. 10. Dr Morse Bar and Eatery in Johnston Street for their brilliant all day breakfasts. Here you can expect something a bit more extraordinary than your average smashed avocado. With items like the curried eggplant and chickpea jaffle or the corned beef hash with sauerkraut, piccalilli and fried egg, I will be sure to come for many last weekend brunches to come. They are also open in the evening as a bar/eatery.